Black Balloon Publishing, 9781936787159, 199pp. 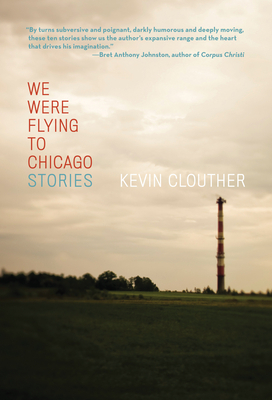 Kevin Clouther was born in Boston, Massachusetts, and grew up on Cape Cod and in south Florida. He holds degrees from the University of Virginia and Iowa Writers' Workshop, where he completed his thesis under Marilynne Robinson. He teaches creative writing at Stony Brook University, where he coordinates the program in writing and reading series, and at Johns Hopkins. He lives in Floral Park, New York. Kevin Clouther was born in Boston and grew up on Cape Cod and in South Florida. He holds degrees from the University of Virginia and Iowa Writers' Workshop, where he completed his thesis under Marilynne Robinson and won the Richard Yates Fiction Award for best short story. He has worked at The Iowa Review, Meridian and The Virginia Literary Review, where he served as Fiction Editor. He teaches creative writing at Stony Brook University, where he coordinates the Program in Writing Reading Series, and John Hopkins. He has previously taught at Bridgewater College in Virginia, the University of Michigan-Dearborn, and the Iowa Writers' Workshop. He lives in Floral Park, New York with his wife and son.